Any Star Wars fans out there? If so you are in luck. 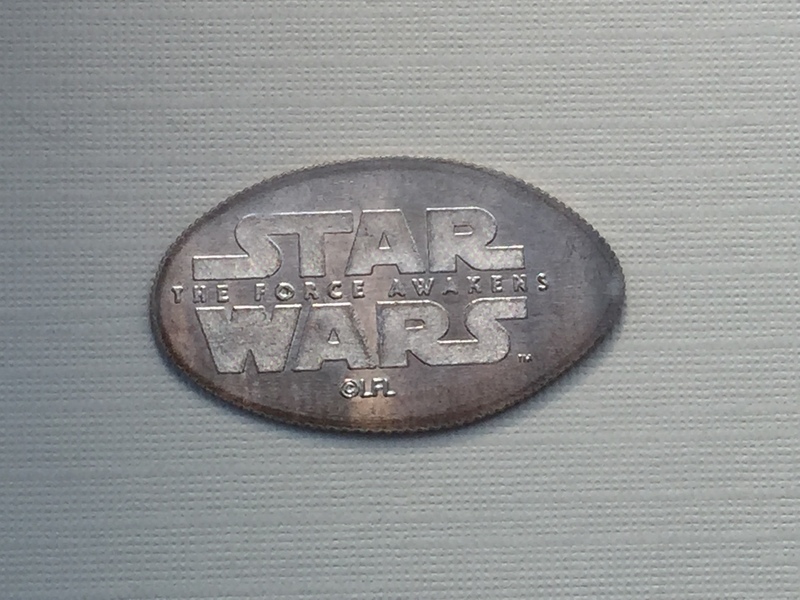 I know at Walt Disney World in Florida they used to put a penny machine out during Star Wars weekends however the designs have never changed. 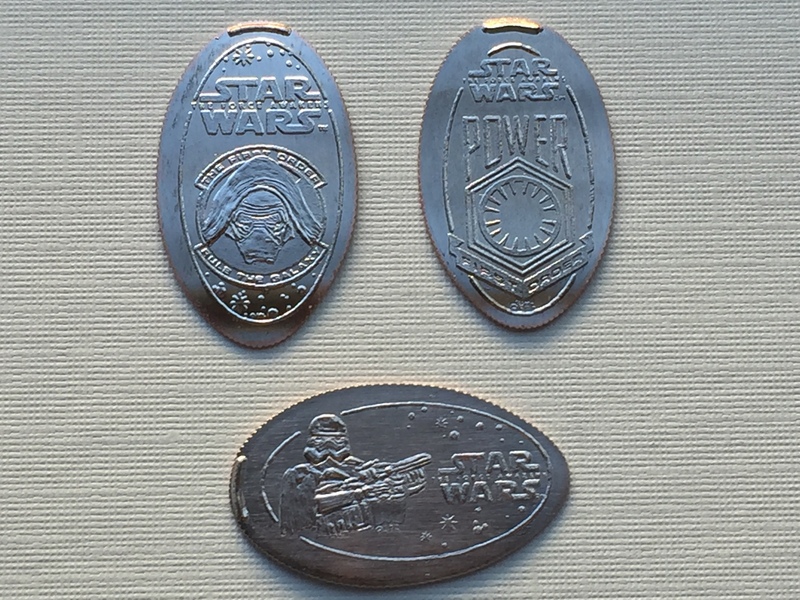 But now for all you California folks you have a brand spanking new set of Star Wars themed coins and even more cool is they have designs based on the latest blockbuster movie The Force Awakens. Have you seen it? What am I talking about of course you have, I think only about 3 people in the entire country haven’t seen it yet. If any case if you haven’t seen the movie these designs may not make a whole lot of sense (ahem go see the movie) but just take a look these beauties. 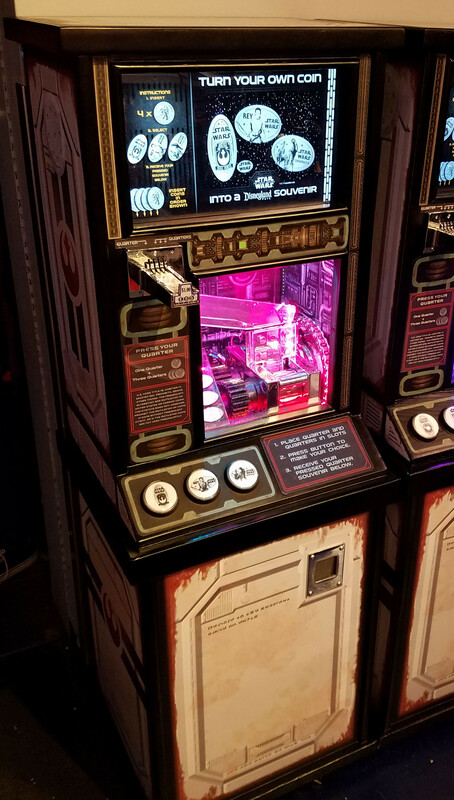 I should probably mention both these machines are available in the Disneyland Park at the Star Trader over in Tomorrowland near Space Mountain. As you can see these designs are pressed on nice big quarters which always make for a nice finished product. The above designs are from the first machine and include images of the Rebel Force Logo, Rey, and Chewbacca. Before I move on let me show off the fantastic machine. The second machine is located right beside the first and also has three designs. Kylo Ren, The First Order Power Logo, and Captain Phasma. 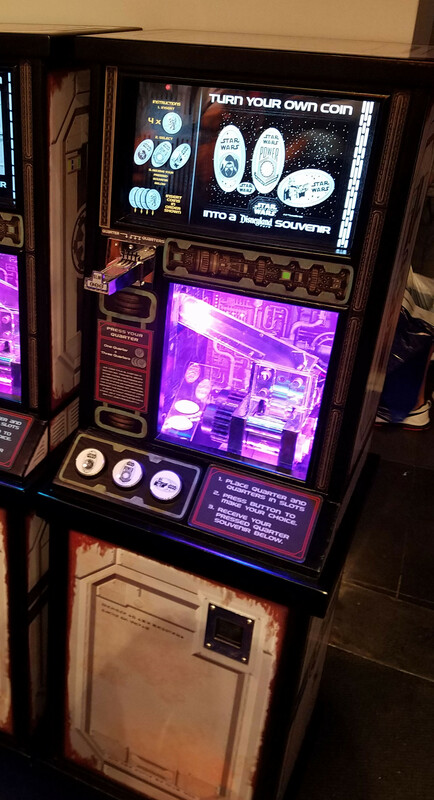 This machine also has a similar cabinet and also the LCD marquee. I really hope to see more of these around as I think they really take the experience to another level. Also be sure to check out the special backstamp image on each coin. These coins are so popular I have heard that these machines actually have lines of people waiting to use them. 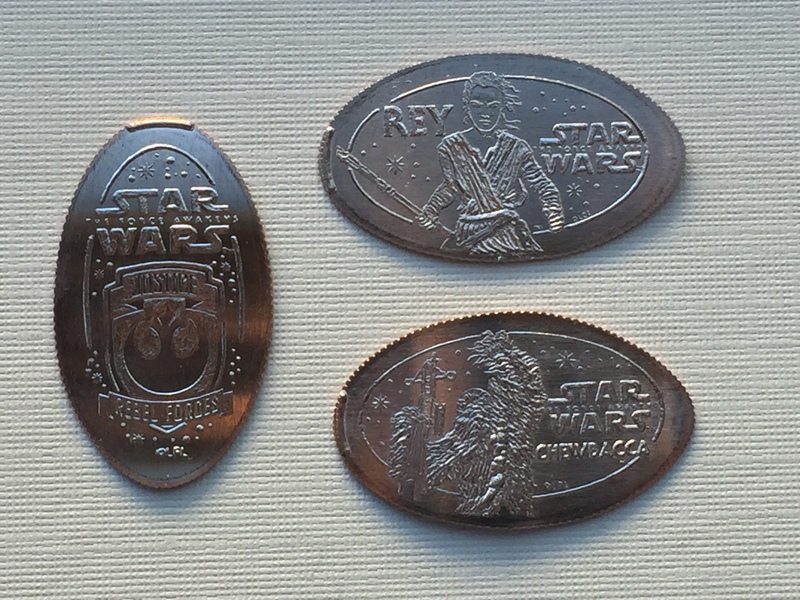 A friend of mine at work is a huge Star Wars fans, and couldn’t care less about press coins (have mercy) but asked me to do whatever I could to get him a set of these coins. So all I’m going to say is if you haven’t picked up a set yet do so immediately.